After reaching some sixty million people in over 30 countries, Fame - the Musical, based on the Academy Award- winning film and Emmy Award- winning TV series, will tour the United States again this fall and spring. The show last toured in 2003 and returns in an all new presentation produced by the veteran team of James Murtha and William Weir, and under the direction of Dom Ruggiero. The high octane show will have audiences dancing in their seats as the story and relationships of the lucky youngsters given a chance to develop their talent at the famous School for the Performing Arts in New York City unfold. The exhilarating dance numbers created for this production by the acclaimed choreographer Antoinette DiPietropolo will have the audience on The Edge of their seats. It is a full-throttle journey which highlights the struggles, fears and dreams of young artists as they navigate their time in this "special" school that may well propel them into the world of entertainment. 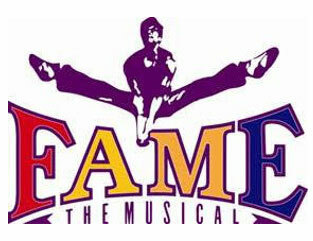 Tickets for FAME start at $32.50, plus applicable fees. Tickets can be purchased at the box office from 10 a.m. - 5 p.m., Monday through Friday, by calling (904) 442- 2929, or online 24/7 at www.fscjartistseries.org.